Andrew’s family has been farming in the Walla Walla Valley for generations. Andrew’s interest in wine and cider production grew out of his family’s vineyards and orchards. He left the Walla Walla Valley to attend Oregon State University, where he studied sciences and remains a diehard Beaver fan to this day. After college Andrew returned to the Walla Walla Valley and then caught the winemaking bug while working with Rich Funk of Saviah Cellars. Andrew developed his winemaking skill under Rich before taking over as head winemaker and cider maker for Watermill Winery and Blue Mountain Cider in 2008. When not supervising winery and cider operations, Andrew is active in the local Milton-Freewater community through youth sports and volunteer work. Alex grew up in the wine country of southeastern Washington. 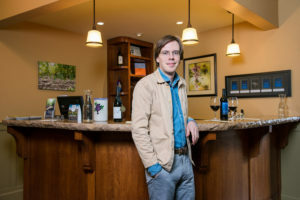 After studying history at the University of Nevada, Alex began his career at The Hedges Family Estate where he gained ground up exposure ranging from vineyard and production work to tasting room and event management experience. For two years Alex traveled to over 45 markets as a National Sales Manager for Hedges. Following his stint at Hedges, Alex moved to V2 Wine Group based out of Sonoma, California as a region manager for their portfolio of wines from California and around the world. After V2 Alex was the National Sales Manager at ROCO Winery in the Willamette Valley, where he represented the wines of Rollin Soles in 35 markets throughout North America. 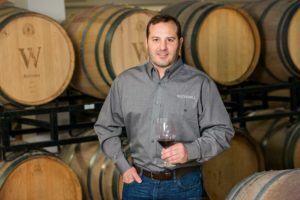 Despite his varied experience, this area has always been home, and Alex holds a deep passion for sharing the story of wine from the Pacific Northwest, and directs the business side of Watermill Winery. 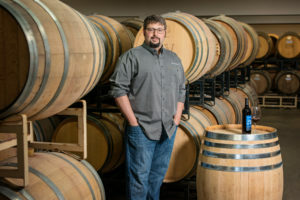 While born and raised in Northern California, it took moving to the Walla Walla Valley for Tristan to discover the joy of wine. 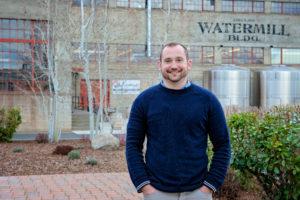 After graduating from Whitman College Tristan got his first wine industry job in the Dunham Cellars tasting room, before moving on to Watermill Winery, where he has spent the last 6 years in customer service, now as the Direct to Consumer Manager. In his spare time he enjoys exploring the Blue Mountains and the Wallowas through hiking, camping, snowshoeing, and cross country skiing.